Of course that's still a vague date really, but at least we know that JBL hasn't given up on the product and is still planning to ship it. The company has already made some of our favorite Chromecast and Assistant products, so we know it means business and if this product was delayed, it was probably for a very valid reason. The Link Bar can replace a Chromecast, Android TV box, and Google Assistant speaker, but it also has multiple HDMI inputs, which means you can use it as your TV's HDMI hub. Even better, you can use Assistant to control these inputs. It also has a privacy switch for far-field microphones that lets you turn them off. Pricing is still set at $399.95 for the Link Bar, and there's an optional subwoofer for $299.95. LAS VEGAS--(BUSINESS WIRE)--The next big thing in TV isn’t even a TV. An industry first, the JBL LINK BAR is a powerful soundbar that provides exceptional audio performance and delivers TV content in a smarter way with Android TV and the Google Assistant built-in. 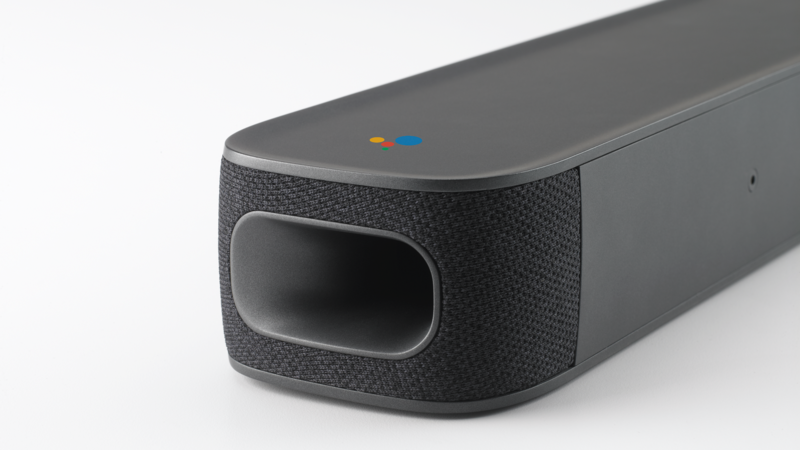 The LINK BAR is the most recent collaboration between JBL and Google, and expands the JBL LINK series.